There is nothing like it! It is worth it. There is no comparison, it is the only route to go. Finally, I can smile with confidence, a smile I’m proud to show everyone. I love my teeth! I’ve had five implants and at this stage I can’t tell which are my implants and which are my real. After years of suffering from dental problems, I decided to research dental implants. 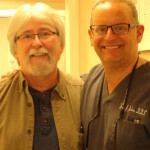 Dr. Brian Jackson was the dentist I chose after I researched articles and spoke to patients with implants. At my first visit I knew I had made the right decision. Dr. Jackson and his staff took a genuine interest in my dental health and provided me with a treatment plan that addressed my needs. I’m impressed with the results and the professional and courteous dental care. I will continue to recommend them to family and friends. My advice is to do your research homework first, before getting involved with dental implants. If you do this, you will really appreciate your new teeth more. Dr. Jackson’s team was fantastic, fantastic, fantastic. 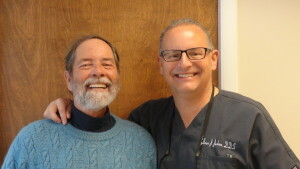 As for Dr. Jackson, I learned that he is an honest person, because at the beginning of the treatment he said you will not leave until you are happy with your teeth and he kept his word. Thank you. 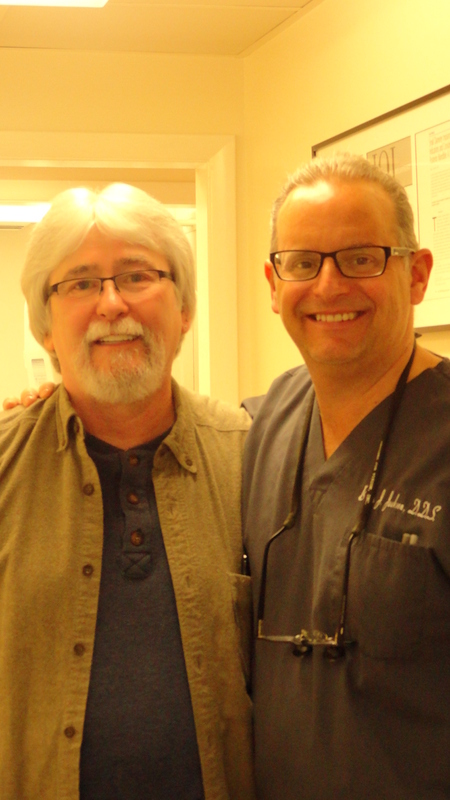 My experience in getting dental implants has been and continues to be a positive life changing event. I am grateful to Dr. Jackson and his entire staff for their skill, competence, compassion, and dedication to excellence in all they do. 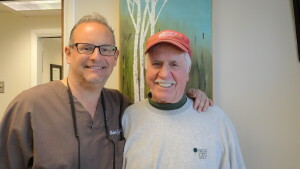 I would highly recommend Dr. Jackson to anyone who may be interested in dental implants. I would sincerely like to thank Dr. Jackson and his staff for their help and compassion. My first thought of going to the dentist was sheer panic as I had not been to the dentist in quite a while. Dr. Jackson and his team helped me make it through that first visit and I began my year long process of procedures that ended with implants and Mini Implants that have literally transformed me. I can not believe at age 65 I have a perfect smile and can eat anything I want. The professionalism and compassion was unparalleled to any I have encountered and to help me get past my fear was unbelievable. I felt more like a friend than a patient. Anyone who is thinking of implants, go for it, you will be amazed how you will look and feel when the procedure is completed and Dr. Jackson and his staff are the ones that can make it happen for you. Again, thank you all so much, you’re the best.